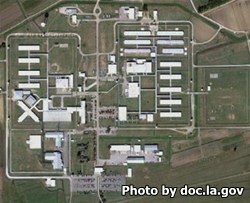 Elayn Hunt Correctional Center is a maximum security prison located in St. Gabriel Louisiana. The prison can house over 1,510 adult males, and acts as a diagnostics and classification center for approximately 400 inmates. Although this is considered a maximum security institution, it houses inmates of all custody levels. Educational and Vocational opportunities in this prison include adult basic education, GED, HVAC, carpentry, welding, and various jobs with the institution and surrounding community. Only inmates who have been at the Elayn Hunt Correctional Center for over 30 days are eligible for visits. The inmate must request the visit from their unit manager.